In 2015, three nonprofit, like-minded and mission-driven organizations, each with deep community roots, exceptional patient-centered care, expert staffs and a history of innovation came together to form one organization, JourneyCare. Together, the agencies—Chicago-based Horizon Hospice and Palliative Care, Barrington-based JourneyCare and Glenview-based Midwest Palliative & Hospice CareCenter—offer more than 100 years of experience caring for patients and families facing serious illness. JourneyCare remains deeply committed to providing the best quality care, while keeping our promise to the community of never turning anyone away because of inability to pay. 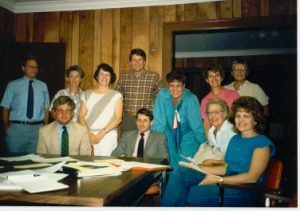 The passion and commitment of the three legacy organizations’ founders made the dream of better care for seriously ill friends and neighbors a reality, and their vision, dedication and hard work continue to have a profound impact on those we care for today. 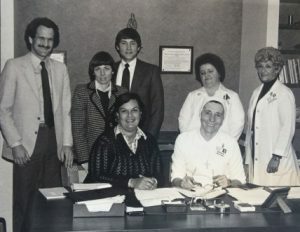 In 1982, five women with a vision and $20 each banded together to form Hospice for McHenry County. Shortly after, a group of Barrington-based community leaders pooled their energy and resources to found Hospice of Northeastern Illinois. The two volunteer-led agencies merged, retaining the Hospice of Northeastern Illinois name and becoming the foundation of what would become JourneyCare. 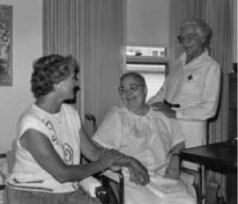 Founded in 1978 as Hospice of the North Shore, Midwest CareCenter was one of the first 50 hospice organizations in the United States. Midwest was the first hospice in Illinois to offer a dedicated Jewish Care Services program, and the Palliative Care Program at Northwest Community Hospital was the first in Illinois and only the 11th in the nation to achieve accreditation by the Joint Commission in Palliative Care.